i’m responsible for desserts at a gathering-type event this saturday. responsibility is a disconcerting concept on its own, but i’m accountable for desserts here. desserts. dessert = awesome stuff = i’m responsible for awesome stuff. QED by the transitive axiom of equality. i’m fully aware that this is why we should value mathematics. let it be known that in life, i don’t usually follow rules and guidelines too faithfully because 1) spontaneity is the spice of life and 2) it’s easier my way. so in baking world, impulsively choosing to follow or not follow the recipe is not the greatest recourse if making something digestible is the goal. which, yeah, it is because digestibility = awesome stuff. and since i’m unbelievably prone to misfortune and mistakes, i decided to do a trial run so that come saturday night i don’t have to rush to a nearby grocery store for storebrand chocolate chip cookies because i’m pretty sure that if i leave this to the last minute, there’s a high probability that i’ll just manage to burn sugar, and i’m above serving burnt sugar. recipes i tried yesterday were for cheesecake and cappuccino crunch bars, both of which i would recommend if you like cheesecake and bars of sugar. i will admit that my friend did most of the work, and my only major contribution was deciding that sifting flour can’t be that important, so there was no sifting of flour (which i actually think might be marginally important). my next major contribution was letting the cappuccino bars cool for about forty minutes instead of refrigerating for several hours, which just made things very gooey… probably because it didn’t cool. but i wanted to eat them. this is a bowl of granulated sugar and multiple sticks of butter. this a bowl of granulated sugar and multiple sticks of butter with a crapload of brown sugar added on top of it. so, yeah, i was pretty disgusted while making this, because i was just staring at a bowl with several cups of sugar and sticks of butter. but then it became delicious, and my appetite decided that heart attacks are overrated. this is the cheesecake, naked. i think eventually there will be some form of chocolate on top because chocolate wins. i don’t know, or maybe sliced fruit will make the fact that it’s essentially cream cheese + butter less artery-clogging-inducing? This looks wonderfully delicious!! *O* I don’t know what you’re talking about. Bars of butter wrapped in sugar are one of the world’s best combinations. Is it time to make Christmas cookies yet?? You have succeeded in making me literally laugh out loud :D. Your sarcasm has made my day, Connie <3. Thank you very much. Though I’d have to disagree: bars of butter coated with sugar to induce artery-clogging is the best kind of butter ever :D. If I wasn’t as young as I am, and so afraid of dying prematurely, I would probably each butter with sugar on top all the freakin’ time. I’m just messing around here, though, because that’s disgusting, and the butter and sugar need to make something awesome before they can be digested. I believe I am correct. :D These look majorly good though, and I would definitely love to try these recipes. Yum Yum! Now my ghost is finishing this comment. Thanks for your questions! :D Wow, you asked 4! *is happy* I’ll answer them all in my next blog entry, including the “Who’s yo daddy?” one. But I’ll answer it with a completely off the wall answer: MySpace Tom. Oh. Yeah. P.S. Thanks ;D. It took all of 2 hours to think up. Mmm, that cheesecake is adorable and delicious looking and I want some. If it were me, I might just leave it like that because I think cheesecake (along with most things in life…actually, no, that’s not true) is better naked. I mean, white chocolate red velvet caramel raspberry caramel macadamia nut cheesecake = NO. TOO MUCH. Just too much. In reply to your comment though – about the eye-contact thing…I don’t know, eye-contact has always been a really mysterious thing for me. I think eyes reveal so much emotion and details about people that they aren’t saying or showing through body language that its so easy to just be sucked in and suffocated by someone else if you stare too long. Sometimes I look at a person’s eyebrows just so it looks like we’re making eye-contact to others haha. Those bars look good, but I hear you about feeling gross while making stuff like that. I feel the same way each time I bake something! OMG, you’re a genius! :D “Learn About Katarina Blog Day.” That’s, like, such a good name…LOL. I should have thought of that myself >_<. I try not to eat out too often, since it's A) expensive, and B) lots of fattening food. Plus, I'm trying to eat healthier…D;. Lamb? WTH xD. I've never heard of someone enjoying lamb. My dad used to eat lamb as a kid – by force, from his parents – and he said he hated it with. With his words of wisdom, I refuse to try it :). LOL. LOL i have to say, all that butter looks DISGUSTING. 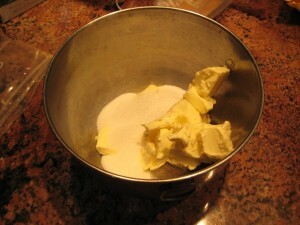 I wonder if there is an awesome low calorie, less gross looking butter recipe…. Probably, but I am too lazy to search of it. 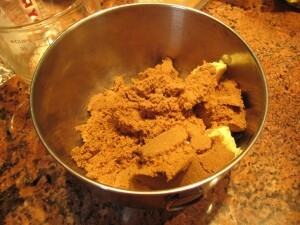 I believe sifting of the flour removes any clumps of flour so I usually did it when it says to do it. Have you decided on which recipe? I did gave the guy dirty looks. Unfortunately he didn’t see what I was doing. Meh. You’re right. People don’t just become assholes instantly but hopefully I won’t have to see any of his other assholey acts in the future. OOO the cake looks yummy. 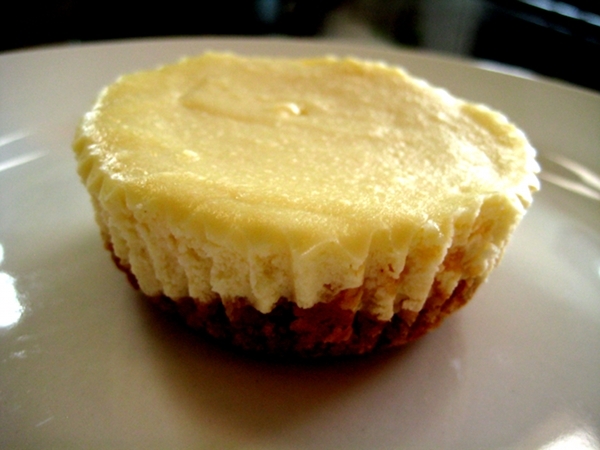 I love cheese cakes. I’m really rubbish at cook anything, especially cake making. Well done for making that cake :D Hope your guest will love the cake. The cheesecake looks delicious, xD. Even if I’ve never liked cheesecake at all, :p. If I were in charge of dessert, I’d probably create a huge a$$ mess in the kitchen and still not have good-tasting desserts, ;D. Yeah, I’m a failure when it comes to baking, (x.
I like shopping with people my age (and not my parents’ age) because we wouldn’t rush each other, and would just give one another the time to browse through everything. I usually browse a whole lot more than I actually buy, xD. Some things look cute, but then you try them on, and it’s like, “Whoa. Ewh. No way.” :p.
i am kind of saddened at the fact that if things had gone according to plan, we would’ve been hanging out like it was the most natural thing ever already. Looks lovely, I eat anything that tastes like coffee. I probably would eat even your cool bars :-) I kind of wish I had energy to bake some myself right now! Hehe yeah. That song is pretty cute. I used to have a crush on both Nick and Aaron Carter so at that time, I found the song soo cute. :D Hehe I’m definitely going to try out Billy Joel. :P Especially Uptown Girl. Most people I know dislike Westlife but I still love them. I do find it disappointing that a lot of their songs are covers, but I love them anyways. I have a few songs of NSync but I don’t really listen to them much. I really like Backstreet Boys. :) I also like Blue and Boyzone. how dare you make me salivate in real life :Q___ omg yes heart attacks are overrated so eat on~~ uhm i hope no one blames me if something happens..
That cheesecake thing looks soo good though. I have a major sweet tooth. If sugar wasn’t so bad for health, I would never eat anything savory or nutritious again. Thank you for this great, light-hearted post, you made me smile so bright on a lazy day. I don’t particularly like cheesecake, but this made my mouth water up. I haven’t baked in a long long time. My parents feel that I waste money because I’m so bad in the kitchen that I ruin the ingredients, so I’m not allowed to cook or bake, lol. I agree, I think 80% or more of the world’s population are incredibly self-centered and only look out for themselves, unfortunately. We’re all guilty of it sometimes but like you say, she could have at least let me know. I’ve never had cappuccino crunch bars but they look very yummy too! Even if they are gooey, haha. I crack under pressure too, mainly why I don’t do anything big or important. xD I start to get all wobbly and nervous… I’ll have to work on that.. I actually really like baking too! Especially cookies for christmas! Sometimes my brother helps me (which isn’t really that helpful in the end, but what ever). I hope things work out perfectly (or worked out?) when it times for your baking! I feel like I gained 5 pounds just looking at those pictures.